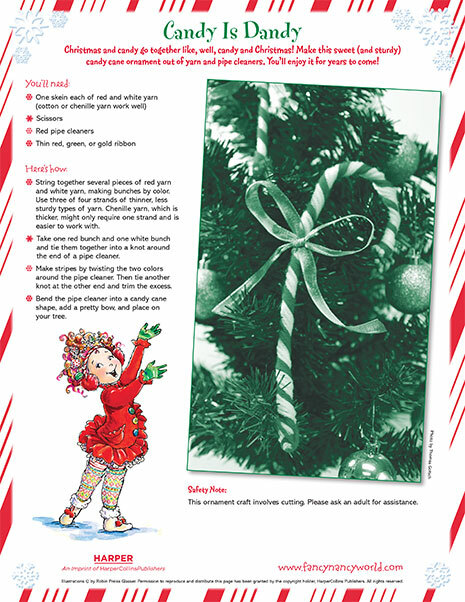 Make fancy candy cane ornaments to make the tree look scrumptious! 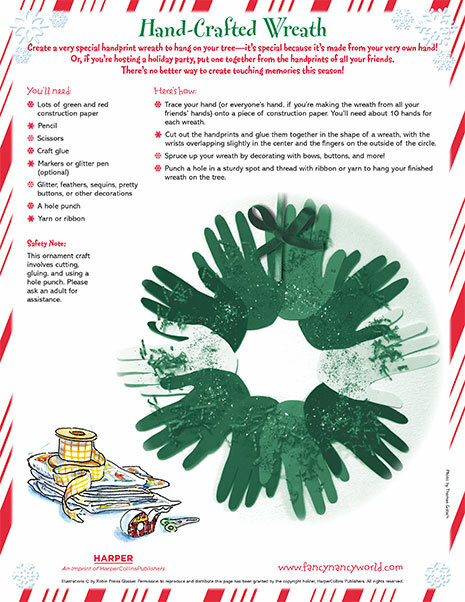 Create touching memories with this hand-crafted wreath activity. 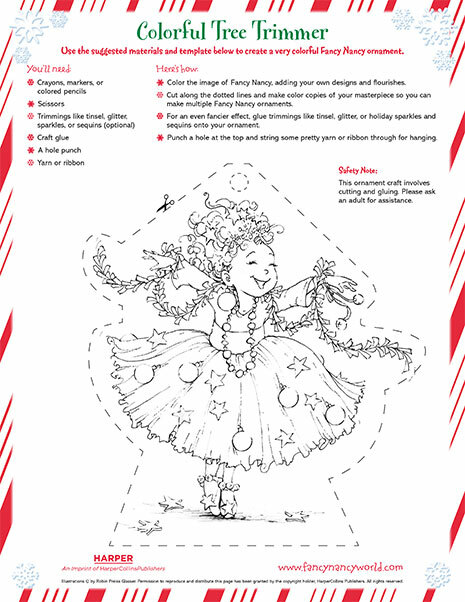 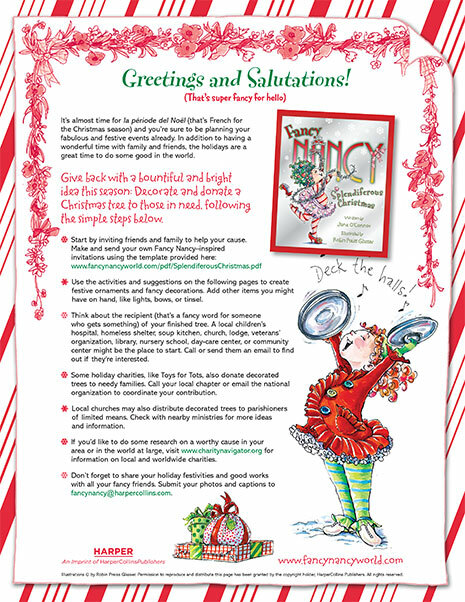 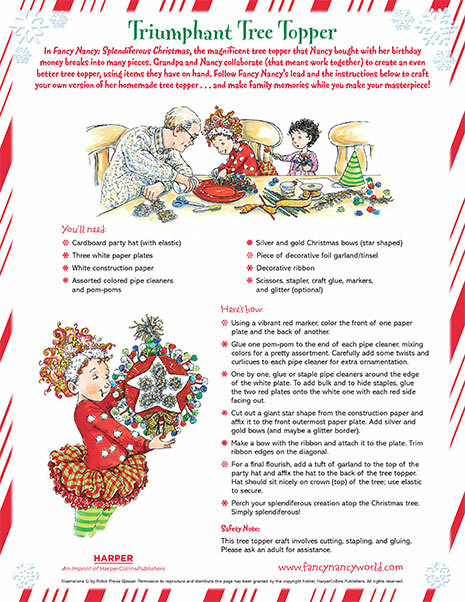 Decorate your Christmas tree with this printable Fancy Nancy ornament. 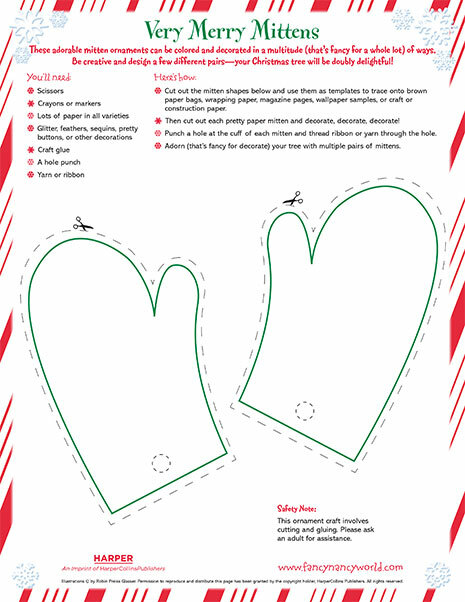 Give back with a bountiful and bright Christmas tree to someone in need! 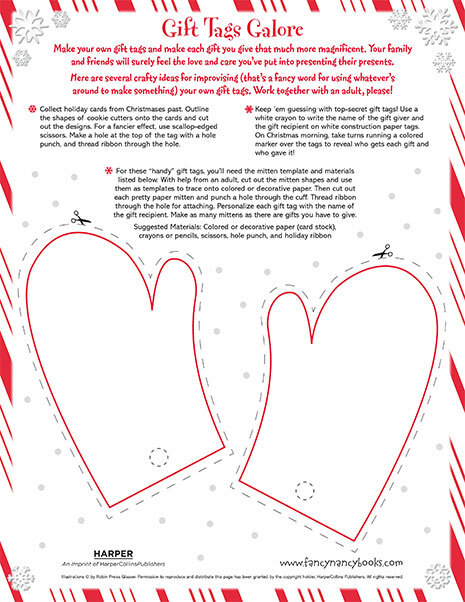 Make each gift you give that much more magnificent with these printable gift tags! 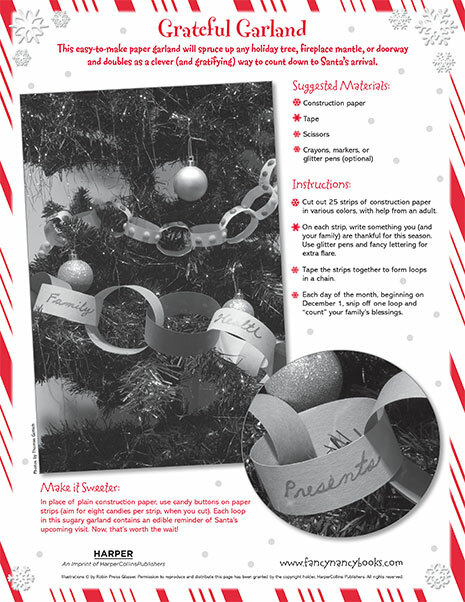 This garland will spruce up any room, AND it doubles as a countdown to Christmas! 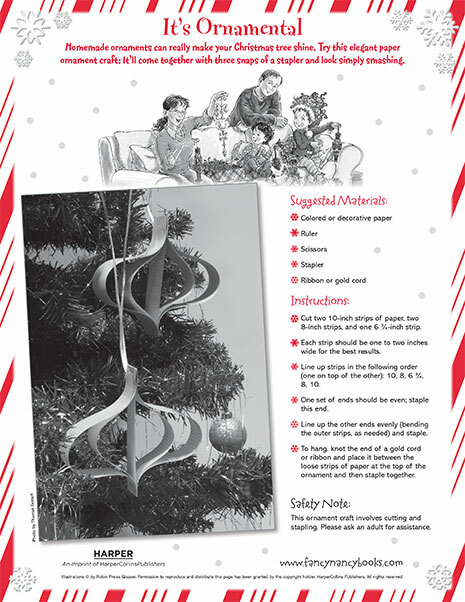 Make your Christmas tree shine with this elegant paper-ornament craft! 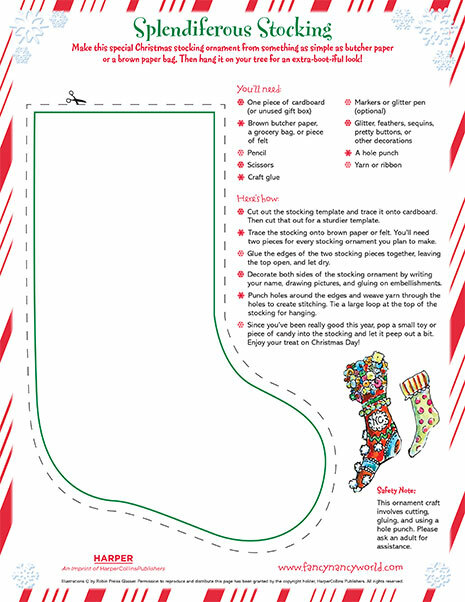 Decorate and hang this boot-iful stocking ornament on your Christmas tree!